At the moment the Secretariat runs three main projects apart from our ongoing commitment to building our network, connecting members and sharing resources. Feel free to contact us for more information about any of these. The Family & Traditional Values regional seminar series brings together activists, scholars, theologians, religious leaders and human rights advocates in a number of Global South contexts to develop counter narratives to right wing religious messaging that are regionally and contextually located, and that in turn educate and bolster existing formal human rights strategies and local campaigns. The first seminar gathered 25 participants to discuss issues related to faith, family and traditional values, within a Sub-Saharan African context and to explore and develop counter-messages to those deployed by religious right-wing groups in regional and international human rights spaces, which we are seeing as increasingly dominated by conservative, static, ill-thought through, politicized messages around family, traditional values, faith and culture. It took place in Johannesburg in February 2018, and produced the Johannesburg Declaration (http://www.gin-ssogie.org/johannesburg-declaration/) which addresses Christianity, Islam and African Traditional spirituality, and which we are in the process of disseminating to our networks and partners. Fact sheets can be found here. The second seminar took place in Bangkok, Thailand in November 2018, and brought together participants from 8 Asian countries (with a stronger focus on South East Asia) from a broad range of faith traditions, including Muslim, Hindu, Sikh, Christian and indigenous spiritualities. It produced the Silom Manifesto which is available here. The Religious Dialogue Partners’ process which selects and prepares LGBTI people of faith to participate in religious dialogues with the Christian Councils in 10 Southern African Countries; it was piloted with the first group of LGBTI dialogue partners (from Namibia, Mozambique, Zimbabwe, Lesotho and Botswana) in April 2018. 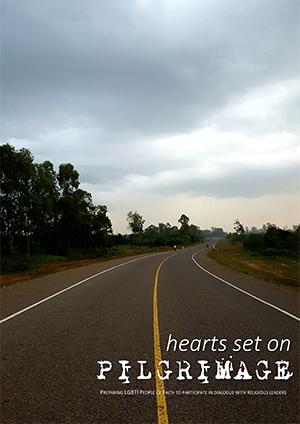 The retreat process, titled, Hearts Set on Pilgrimage, has been run in Lesotho and Kenya in 2019, and will be run in Botswana, Namibia and Mozambique in the course of the year. The curriculum, titled Hearts Set on Pilgrimage, is widely shared as an open source resource for use by GIN members, and others. We are in the process of working out how to convert the curriculum for use in interfaith and possibly in Islamic contexts, in order to make it more useful across a range of global contexts. Contact us on pierre@gin-ssogie.org if you would like to access the curriculum. 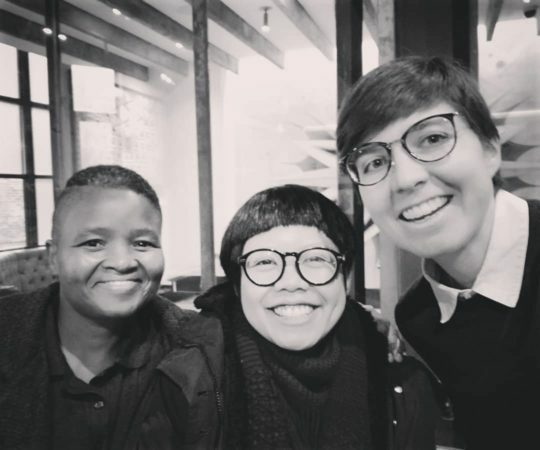 The GIN Speakers Bureau amplifies under-represented (mostly Global South) faith-based LGBTI narratives and pairs our Speakers with staff support and funding to connect them to high level speaking opportunities. In high level political contexts, SOGIE diversity and rights for people of diverse SOGIE have often been depicted as a Western imposition in Global South countries, on the grounds that traditional Global South contexts are faith- and tradition-based. The introduction into these spaces of the voices of SOGIE diverse people of faith from the Global South will undercut the assumption that SOGIE diversity is a Western imposition, as well as undercutting the assumption that SOGIE diverse people are in opposition to faith. The presence of LGBTIQ++ people of faith in these HR forums will therefore undercut the dominance of conservative voices in the faith space, and create space for secular HR activists to find common ground with progressive faith actors. The process piloted in Johannesburg in August 2018, with speakers from 7 Sub-Saharan African countries. In 2019, we have sent Speakers to HRC 40, in Geneva, in February, and to CSW, in New York in March. Visit our News page for more information and pictures!